With the USS Wisconsin as a backdrop, Mitt Romney presented Janesville Congressman Paul Ryan (R-WI) as his vice presidential choice at Norfolk, Virginia last Saturday morning. In making this choice, he embraces big ideas, unites center-right constituencies, and kicks off a vigorous fall campaign. Ryan is also a committed Catholic, fond of quoting St. Thomas Aquinas on issues such as subsidiarity and the need to protect entitlements, for the benefit of the poor, through fiscal responsibility. He also has a perfect pro-life voting record and supports traditional marriage between a man and a woman. The issues in the presidential campaign are joined. Will the vision of President Obama of an ever-growing federal government, which relieves the citizenry of its self-reliance and independence through higher taxes, spiraling debt and suffocating regulation, be rewarded with a second term? Will Obama’s anti-life, anti-family and, yes, regrettably, anti-Catholic policies, such as his HHS mandate, be allowed to stand and become entrenched in American law? Or will the Romney-Ryan vision of freedom, life, family, opportunity, growth and prosperity get one more chance at shaping, nay, reclaiming the future of America? With the GOP ticket complete, Governor Romney and Congressman Ryan now pivot to a full-throated offense never to look back. The fall campaign will be an unrelenting succession of broadsides. While the Obama campaign and its surrogates resort to class war, character assassination and the politics of envy, the Republicans will persuade with cogent ideas and policy prescriptions to deal with the entitlement crisis and tax reform. The Democrats will constantly change the subject and, ostrich-like, keep their heads in the sand. They will not, dare not, offer any concrete plans or budgets, refusing even to embrace the President’s own Simpson-Bowles Commission’s recommendations. Year after year the Democratic controlled Senate takes a pass on proposing any kind of budget. The Democrats are stuck with reactionary constituencies, locked in a 1970s time warp, which have rendered them incapable of implementing necessary reforms of federal entitlements, spending and taxes, failing schools, regulatory overkill, or even the post office. The party of Al Smith has abandoned its Catholic supporters on those issues most fundamental to the integrity of the human person and the family. Paul Ryan is the VP choice who will generate the most enthusiasm with the base in what will be a close election requiring maximum turnout by key supportive constituencies. Ryan also has the intellectual, political and rhetorical horsepower to make compelling arguments to independent or undecided voters on the paramount issues of spending, entitlements and taxes. He has tremendous experience with the verbal combat required to upset the status quo inWashington. One cannot think of another member of the House or Senate who has this man’s capabilities. 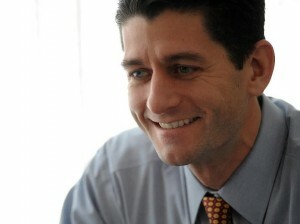 Moreover, Ryan can engage in political debate with good humor and the absence of malice or ad hominem attacks. Most precious of all Paul Ryan’s gifts is his sense of hope and faith in the American dream which will rally younger voters, immigrants and the young of heart to the cause of reform. While one thinks of Paul Ryan as more of a budget hawk, which he is, all the pro-life and pro-family organizations are applauding his selection. The troops are concentrating for the fall campaign. The reassembling of the tripartite Reagan coalition of economic, social and defense conservatives, as well as fellow-traveling independents, has begun. Let me conclude with a word on Ryan’s persistence, courage and intellectual fortitude. Two years ago, I expressed concern that the Congressman had only 12 co-sponsors on his magnum opus, “A Roadmap for America’s Future” which is a trinity of entitlement, tax and health reforms, all of which are anathema to the left. I urged Republicans in elected office, not just the conservative punditry, to get behind this emerging leader. Yet, Ryan kept talking and talking and talking in an effort to persuade his party and the broader public. Since then House Republicans have gone on record supporting Ryan and the rest, as they say, is history. From an isolated member of the House to Governor Romney’s choice as vice president, in two years, is quite a trajectory. Ryan has shown himself to be a consequential man who can create new coalitions and invent new possibilities for a better future forAmerica. In this he is very much like his mentor, the venerable Jack Kemp who is, no doubt, smiling down upon the young man from Janesville,Wisconsinat this very moment. Hats off to Governor Mitt Romney for an outstanding choice.